Finally figured out how to translate the spreadsheet to the OP (thanks to @PARTY MAN X ) so I no longer have to type it manually. Guess that means more frequent updates? Jii, Tomek, FreakyByte and 1 other person like this. COL, Qlex, gontrollez and 4 others like this. Hey! I've joined the GM club! My time is 12:46:03. Of course, I have a video of it, too. Qlex, Xaphiosis, FreakyByte and 5 others like this. Really nice plays and congrats on the GM! It's quite impressive that you kept above-pace for your score for pretty much the entire run. I can also see a rather large time save coming out of you if you were to be a little more confident in your stacking (try playing like you did near the end of the credits!) You never know, maybe we'll see a sub-12:30 or even a sub-12 from you before the end of the year! Qlex, FreakyByte and Steelix100 like this. Gm @ 10:09:46 at Qlex's house yesterday, this time with a stick!!! I'm more comfortable with it. Maybe sub 10 will happen (if I don't misdrop and learn how not to panic...) . Apparently quite well, because I didn't get a PB for a month. But here's an improvement (about 3.05 seconds). If you want to see a run which is all over the place in some segments but somehow still my fastest one, there you go! mycophobia, FreakyByte and Archina like this. I've been beating my head against a wall for nearly 2 months trying to break 11:30 before the year is out, and my determination has finally paid off. Time to start paying attention to stacking higher and not clearing singles. d4nin3u, JBroms and CylinderKnot like this. Small improvements. Normal on the left and 20G on the right. Qlex, JBroms, mycophobia and 2 others like this. iKantu, Qlex and d4nin3u like this. d4nin3u, tom14159, mycophobia and 1 other person like this. 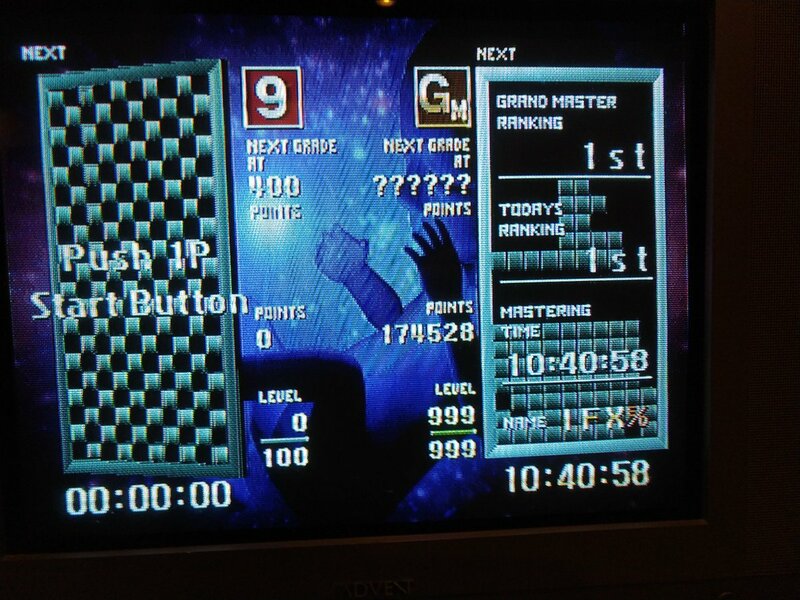 Small improvement (11:41:93), this time on keyboard. CylinderKnot, mycophobia and Qlex like this. tom14159, JBroms, Jii and 2 others like this. Hello, I'm another fellow TGM player from France! 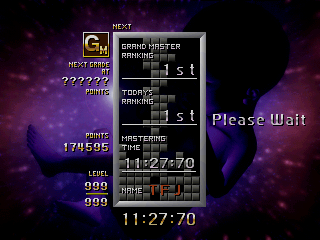 Got TGM 1 gm today so I thought I'd finally make an account to post it haha! MaryHadALittle, iKantu, Qlex and 4 others like this. Huh we meet French GM more and more bienvenue ! d4nin3u, mycophobia and Qlex like this. I was hoping I could get something more worth sharing after that but nope, that's my PB now. Knocked, say, a minute off my best. 12:00 feels difficult but achievable. Yeah, at a certain point consistency is the surest sign of improvement more than new PBs. I went from 12:27 to 11:37 in 2 months, sub-11:30 is going to happen soon.